Be the first to share your favorite memory, photo or story of Harmon. This memorial page is dedicated for family, friends and future generations to celebrate the life of their loved one. 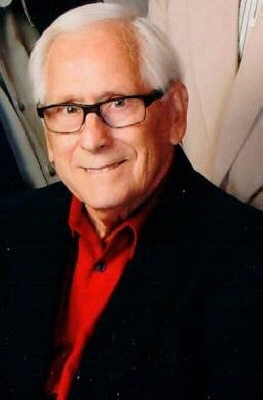 Gene Witt, 88, husband of the late Cathy Witt, passed away January 30, 2019, at Thomson-Hood Veterans Center. He was born in Irvine, Kentucky to the late Arthur and Stella Witt on March 10, 1930. Mr. Witt worked at IBM, Clark Equipment, and the city of Richmond. He was a member of First Baptist Church in Richmond and attended Jessamine Christian Church. Mr. Witt was a professional musician who started playing the piano at the age of three. He loved his Lord, his family and music. He is survived by his son, Doug (Wanda) Osborne; daughter, Sheree (Gary) Boston; grandchildren, Ian Osborne, Erin (Travis) Muessig, Amy (Brett) Johnson, Jessica (Chuck) McKenney, Adrienne (Ian) Johnston, Robby Boston, and Zachary Boston; 6 great grandchildren; and brother, Ray Witt, Irvine. In addition to his wife and parents, he is preceded in death by his son, Mike Osborne; sisters, Opal Witt and Alma Witt; and brothers, Chester Witt, Kenneth Witt, Estill Witt and Frank Witt. Visitation and reception will be from 11:30am until 2:30pm, Monday, February 4, 2019, with a service to follow at Clark Legacy Center, Brannon Crossing. Burial will be at Blue Grass Memorial Gardens. Casketbearers will be Ian Osborne, Robby Boston, Zachary Boston, Chuck McKenney, Ian Johnston, Travis Muessig and Brett Johnson. To send flowers or a remembrance gift to the family of Harmon Eugene Witt, please visit our Tribute Store. "Email Address" would like to share the life celebration of Harmon Eugene Witt. Click on the "link" to go to share a favorite memory or leave a condolence message for the family.